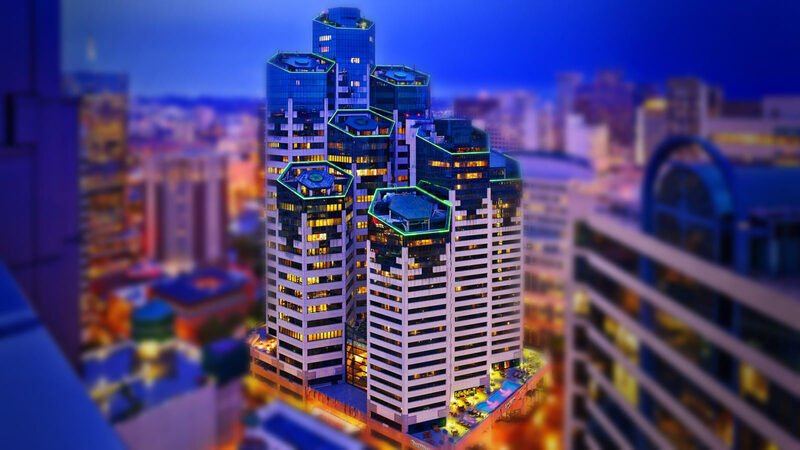 Emerald Plaza is San Diego’s only mixed-use business center comprising office, hotel, retail and restaurant space. Here you will be positioned for success. 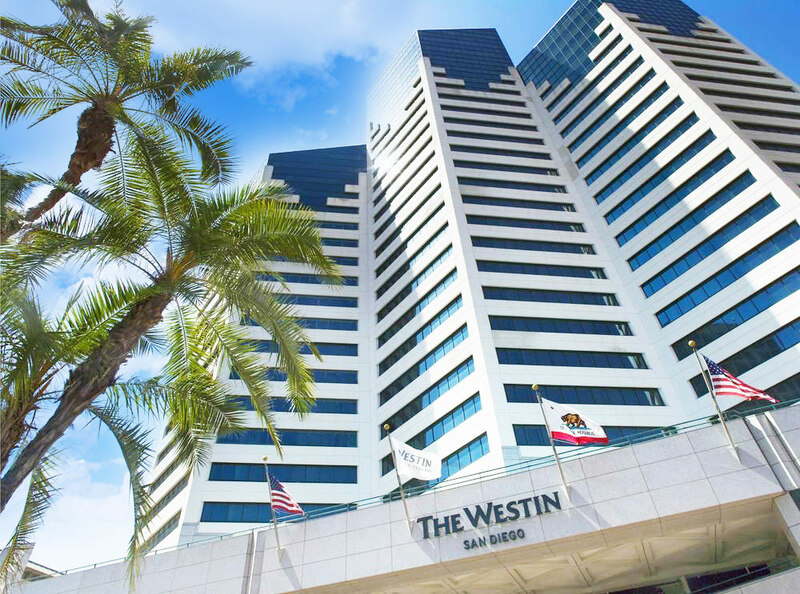 The 30 story office tower and 27 story hotel are connected by a 100 foot glass atrium, offering spectacular views of the San Diego Harbor, Downtown/Balboa Park and the California coastline. 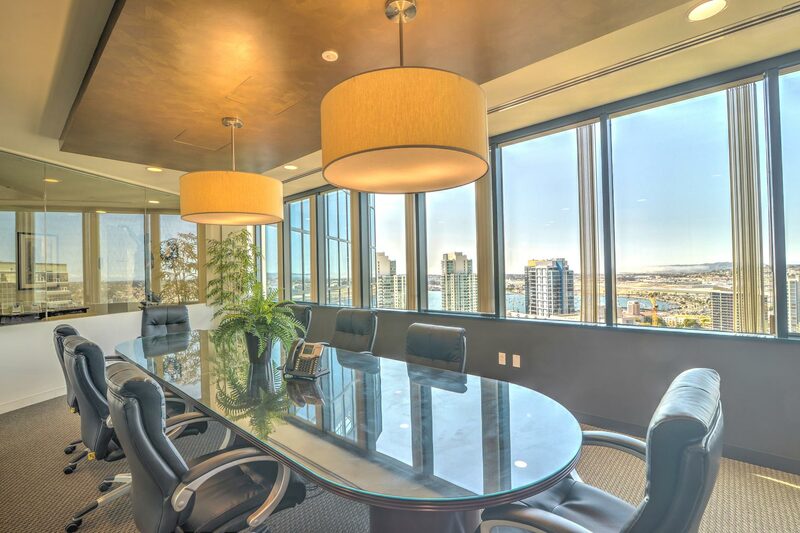 With more on-site amenities and services than any other office building in San Diego, no stand-alone tower can match the integration and prestige that Emerald Plaza offers. EMERALD PLAZA | IT’S GOOD FOR BUSINESS. You think outside the box. Why work in one? Emerald Plaza represents a design concept which strives to respect important resources. The forms and shapes of this building have their basis in nature. Most natural gemstones consist of a series or cluster of hexagons, one of nature’s elemental building blocks. This was the foundation in which Emerald Plaza was built upon. The hexagon shape of Emerald Plaza allows for shorter hallways and provides stimulating spaces, interesting interior volumes, all while maximizing daylight. Individual suites from 2,000 sq. ft.